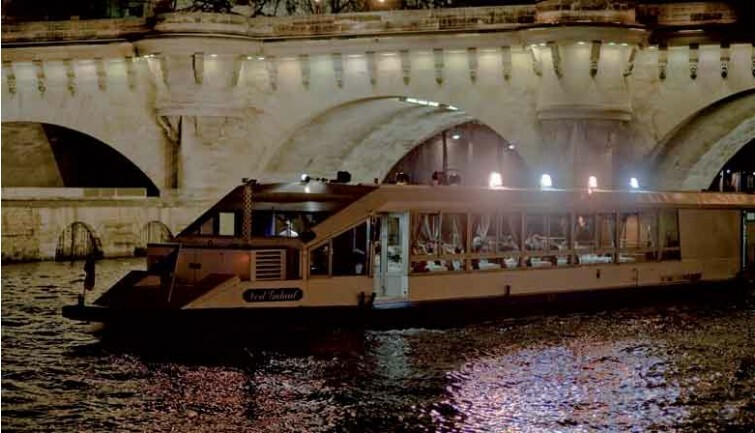 Enjoy a unique evening during a romantic boat ride along the Seine River in Paris. La Marina offers you an unforgettable moment with a special dinner-cruise for two in a cosy atmosphere. 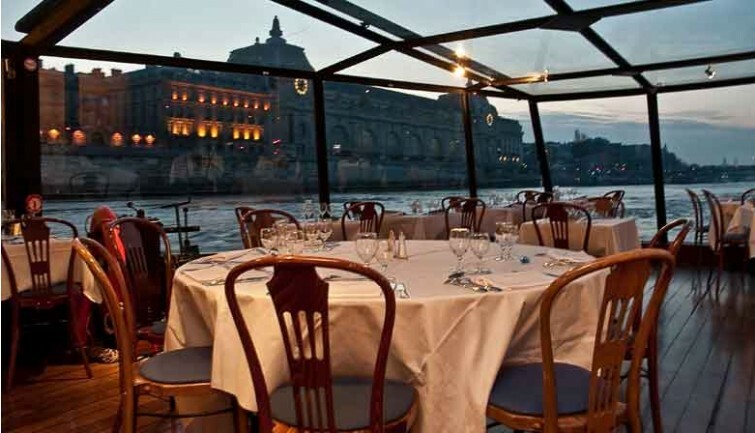 Seated next to the boat-restaurant windows you will enjoy exceptional views on the illuminated bridges and Paris monuments along the Seine: Notre Dame Cathedral, Louvre Museum, Orsay Museum and the Eiffel tower. A refined and gourmet meal will be served during this romantic gateway on the Seine River.